I just realized that I forgot to post this before Christmas. I made this altered canvas for my Mum who loves daisies. Some wall art for her crafty space. I used some pretty lace, pages from a old novel and some vintage sheet music along with beautiful patterned paper, and some paper daisy flowers. I stamped the flourish on the bottom and stamped and embossed the doilies in white. I distressed the canvas with Tim Holtz Tea Dye ink after mod podging everything on. I free-hand wrote the verse in black gel pen, which reads, "Enjoy the little thinks in life...for one day you'll look back and realize they were the Big things." 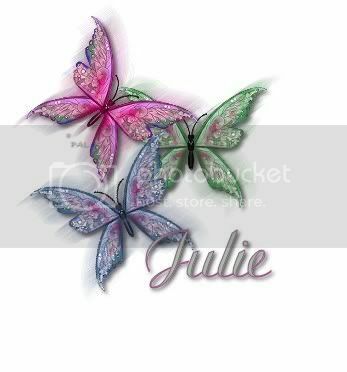 I used some beautiful patterned papers from a DCWV paper pad I got for Christmas from my youngest daughter. She has good taste in paper...makes her Mama proud! 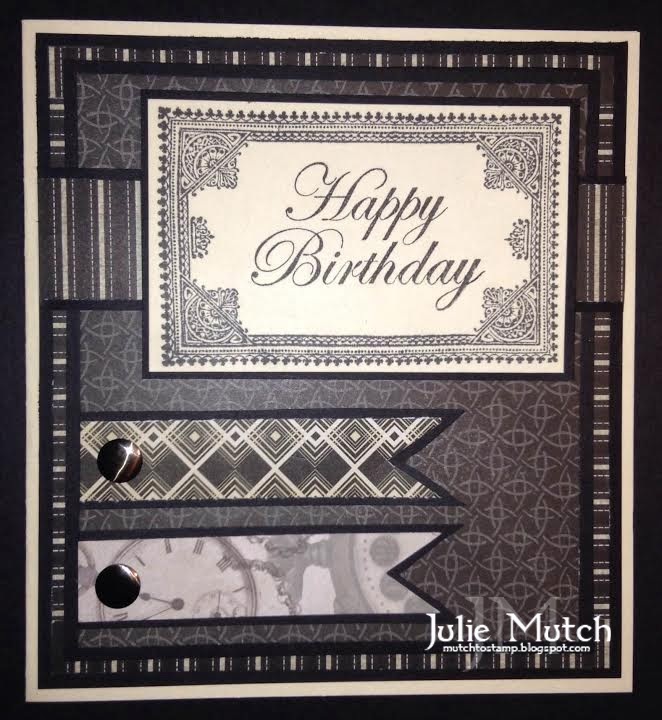 :) The 'Happy Birthday' stamp is from Impression Obsession and the ornate frame is from the Bonjour stamp set by KaiserCraft. I have a Christmas ornament to share with you today. I used the small version of Butterfly Kiss by The Stampsmith. I found these cute charms recently and I hand crimped additional extender rings to them and attached them to the Shapabilities diecut by Spellbinders. 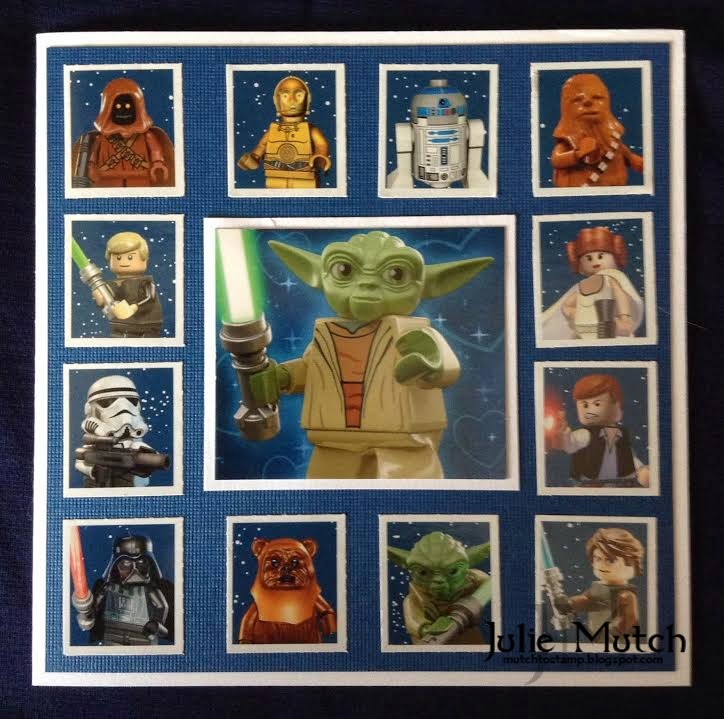 I used three diecuts, one rotated green layer sandwiched between two cream layers. I added some pearl embellies to go with the pearl charms and tied a matching green ribbon to the top for hanging. I can't believe the first day of school is here already...the Summer went by so quickly this year. I can remember my Mum saying that once my brother and I were in school, how fast the time went by. Well, I can relate. 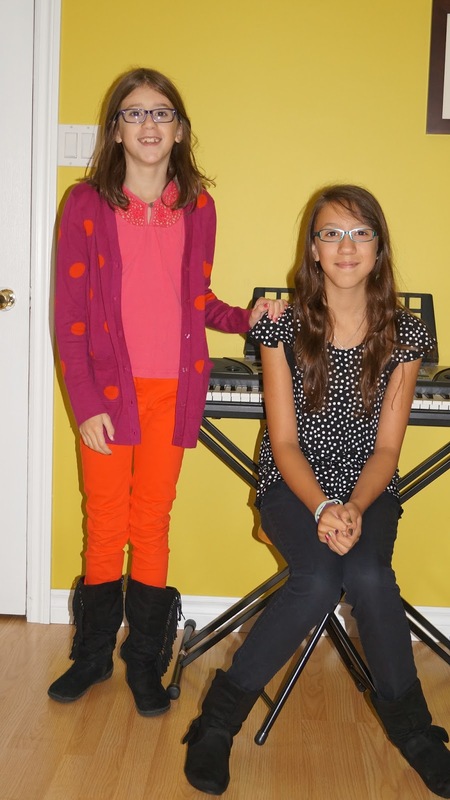 My girls are in Grade 5 and 6 this year and I have no idea where the time has gone. It just seems like yesterday when they were one of those little primary students, standing so shyly in line, awaiting the new adventure of school and a whole new routine. Now, they tower over those little ones...Alex nearly as tall as some of the teachers! 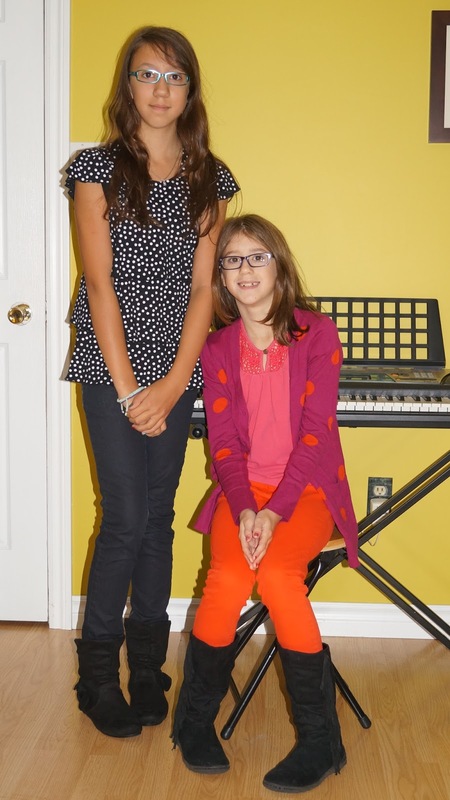 The girls were both excited and nervous this morning. They were happy that they'd be able to see all their friends again, but unsure of what the new school year would bring. I assured them that they would do just fine and would have a great year. Oh, I almost wish I could go back to the time when elementary school was my biggest stress in life...those were the days. So carefree, but I guess the kids do have more to worry about these days in an age when bullying seems to be so rampant. The best you can do is teach your children right from wrong and hope that they chose the right path and treat others how they would want to be treated. I have two very kind-hearted girls, whom I've taught to be good to others and to surround themselves with people who make them happy and treat them well. Life is too short to surround yourself with those who are not nice and bring you down. We have a bit of a different theme for you this month over at The Stampsmith Challenge blog. This month, we're asking you to create something from being "Inspired By A Song." 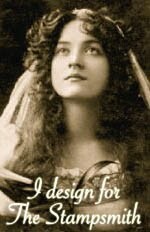 Our theme was suggested by our Guest Designer this month, Maria Green. Welcome aboard, Maria! 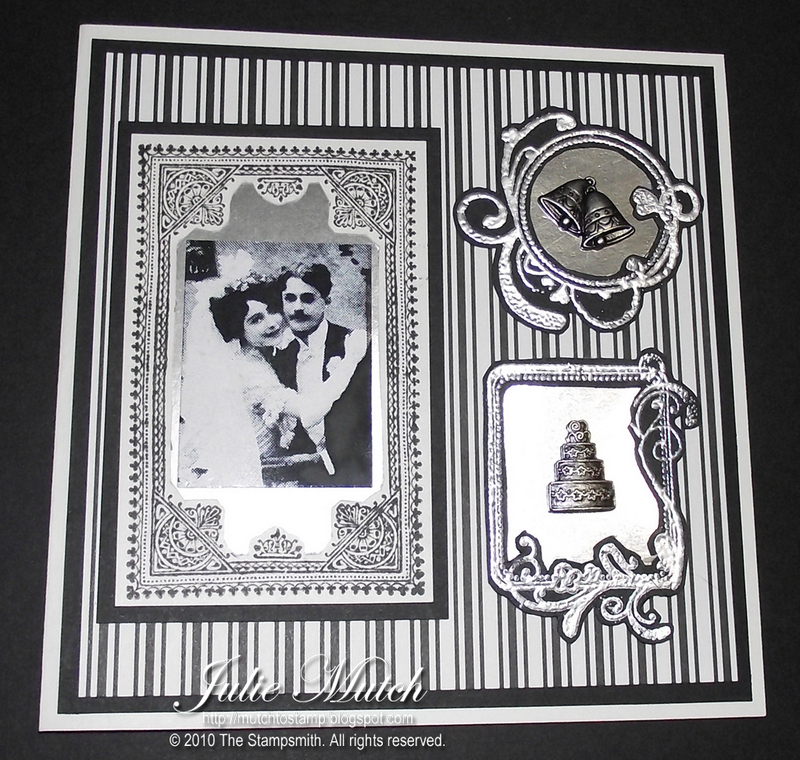 I used a photostamped image from the Mon Amour stamp sheet by The Stampsmith, a few different frames, mirrored cardstock and a couple of pewter wedding embellishments in the small mirrors. I stamped/heat embossed all three frames and cut them out inside and out with scissors...yes, this took a while...then I added the mirrors in behind. Can you guess what my song inspiration was? If you guessed 'Mirrors by Justin Timberlake', you're right! 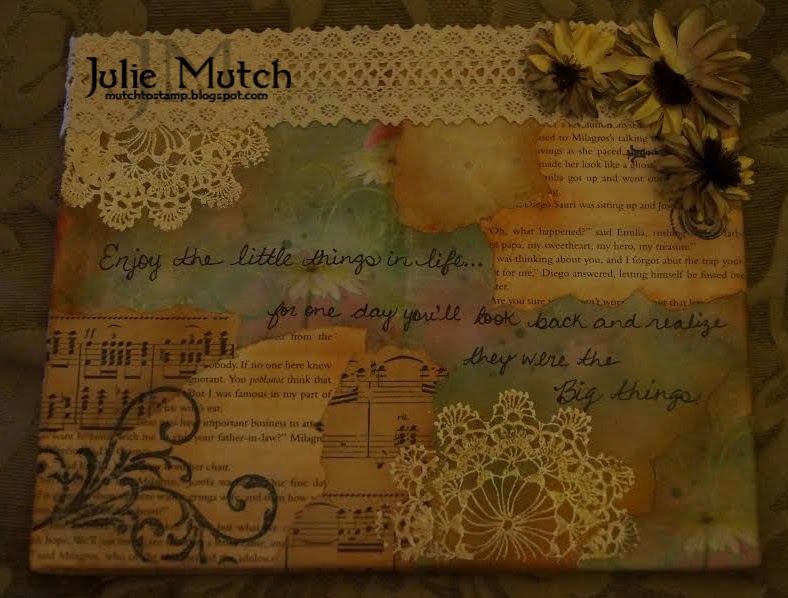 :) This is such a beautiful song, I'm not sure I've done it justice in my card, but this is the design that I had in my head, so I went with it. It's challenge time again over at The Stampsmith Challenge. The theme this month is 'World Traveller' and was suggested by our Guest Designer, Paula Tidman. This is Paula's final month with us, but we've loved having her on board with us. 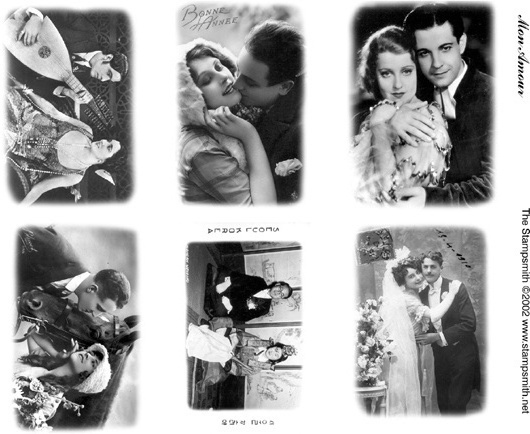 Please pop on over to her blog, as well and show her some love! Now, get out your stamps that pertain to travelling and get creative! 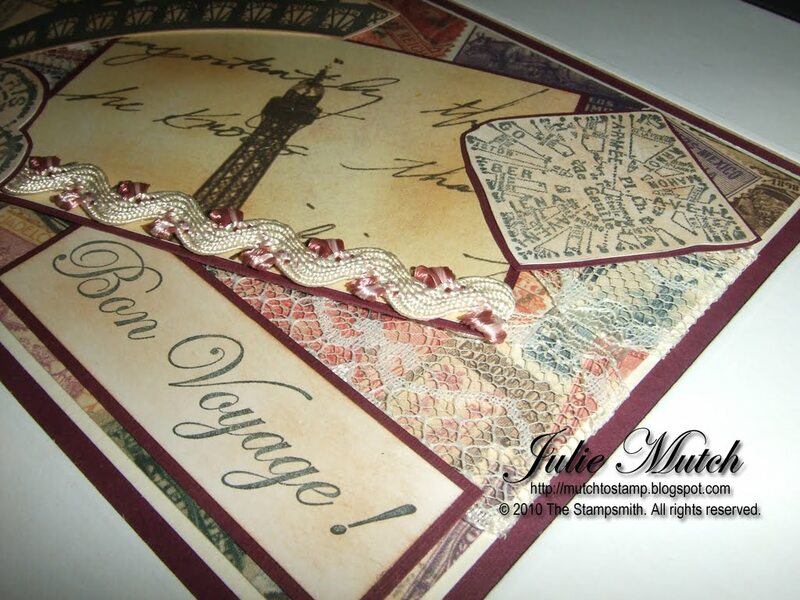 For my World Traveller collage, I used the post mark, Paris map and Bon Voyage sentiment stamps from the Paris stamp set and the Eiffel Detail stamp all by The Stampsmith. Please remember to use at least one stamp by The Stampsmith in your creation in order to be eligible for the draw. 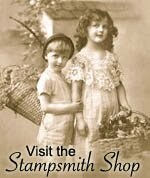 One lucky winner will receive a gift certificate in the value of $21.00 to be used at The Stampsmith store! I can't wait to see what you all come up with. Best of luck in the draw!